You can tell a lot about a city by its restaurants; by the look, feel and personalities of the places around. And lucky for us foodies, our fair city has a lot of variety, particularly when it comes to Hove restaurants. If Brighton were a person, she’d be colourfully creative and bohemian, with a fiery spirit, a quirky wit and an insatiable appetite for late night parties and exclusive venues. Hove, meanwhile, is like Brighton’s older and wiser sibling. 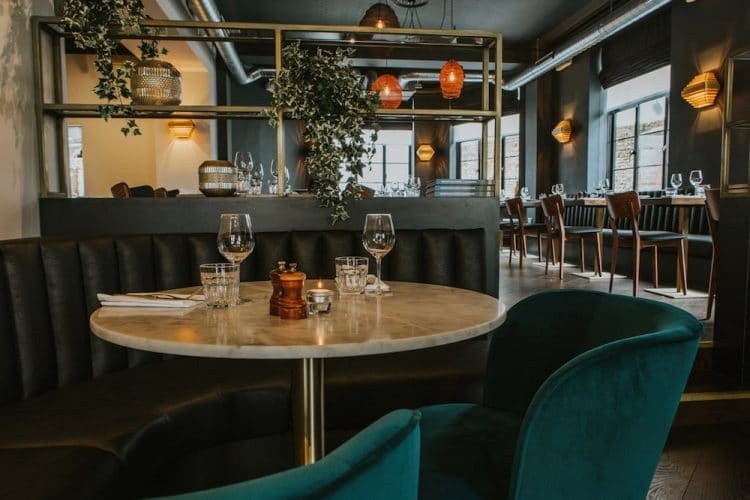 With a penchant for refined dinner parties, cosy family get togethers, classy tailored clothes and intelligent conversation, Hove takes itself a little more seriously than Brighton. Hove is known for having a more residential, family-focused atmosphere. Life moves at a slower pace than in central Brighton and the Hove restaurants and food pubs reflect that. There is more space for lingering and less hustle and bustle. Fortunately, there is no scrimping on quality or the variety of cuisines available. Cafe culture is as strong in Hove as it is across the city, perhaps with a little less exposed brick and random objet d’art, so we will start by looking at some of the area’s top spots for mid morning pick me up. This exceptional independent bakery and wholesale business has quickly established itself as one of Brighton’s best loved café chains. With five branches across the city they have raised the standard of café offerings across the city. 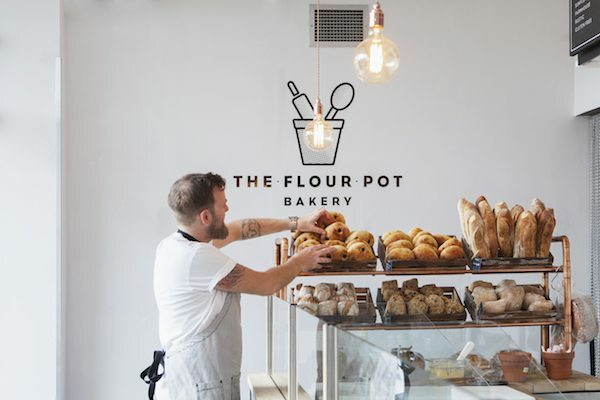 The Hove branch stocks the same range of superb bread and pastries and it’s sleek and minimal styling is in keeping with the rest of the group. Situated on First Avenue this café is the ideal spot to sit back and reflect on your day whilst soaking up some rays on their sun trap terrace. The V&H Café, situated on Palmeira Square, is more than a coffee house. With an extensive menu of breakfasts, brunch and lunch options they pride themselves on the quality of their ingredients and suppliers. 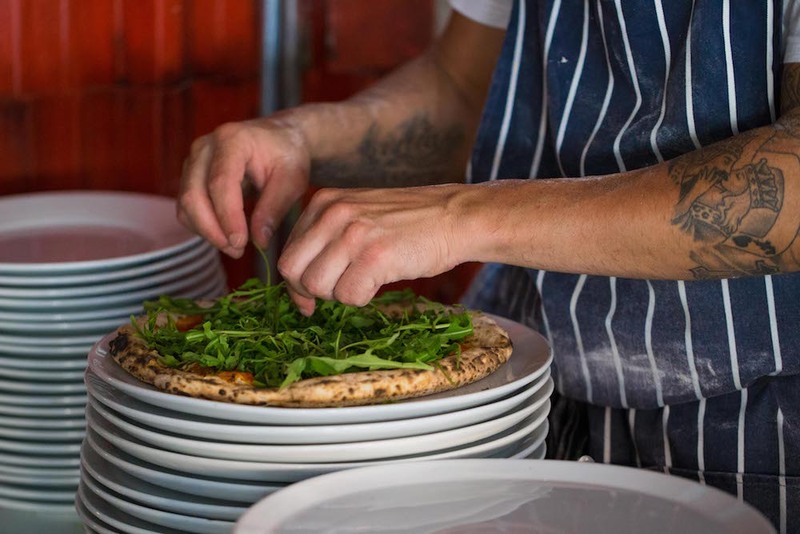 Much of the food is made on site, meaning there are plenty of gluten free, vegetarian and vegan options, and where they do outsource they do so with the same attention to detail that they place upon their own food. With great coffee, loose leaf teas and cake loving staff this is a top Hove spot. 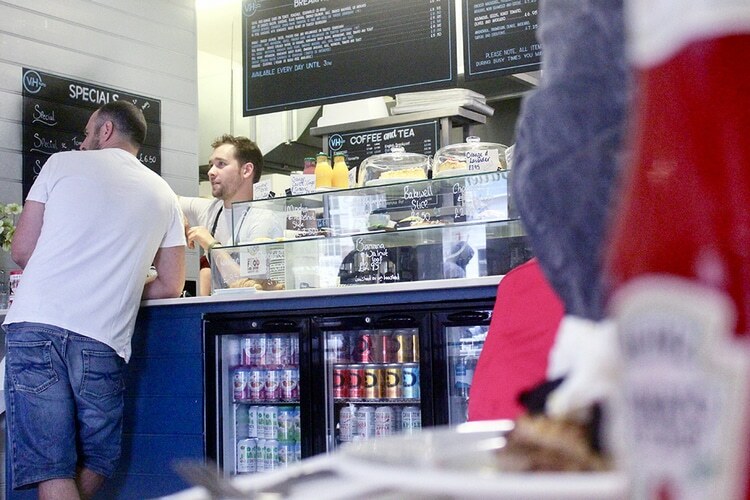 Being the more sensible part of the city, Hove cares about its health and wellbeing in addition to having a good time; and this is where the Body Fuel Café comes in. This health food café aims to provide healthy, clean food that nourishes the body, is packed with flavour and doesn’t leave you hungry. Not just for the health conscious, their nutritionally balanced breakfasts, lunches and smoothies are a great way to kick start your day. You can also drop in for a coffee and a healthy sweet treat in their spacious venue. Hove boasts some of the city’s finest food and drink pubs. With less of a hard drinking party reputation the pubs have more of a relaxed feel. 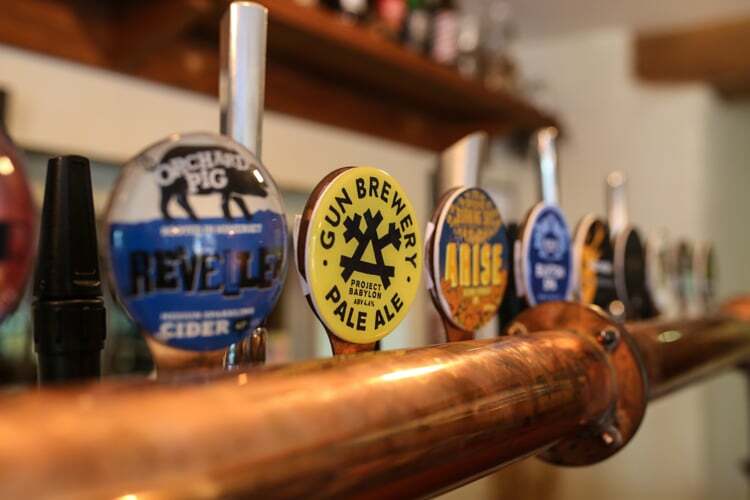 Here are our top tips for which pubs and bars you should head to for a pint and a bite to eat. If you’re looking for a relaxed, friendly and vibrant place to quaff some wine or treat yourself to some lovely grub then look no further! Libation Hove offer proper pub grub, alongside a list of bubbles that won’t be beaten in Brighton & Hove. Some proper tasty cocktails, craft beers and some well known favourites are also available. Just a stone’s throw from the seafront, down an unassuming little side street, you will find The Better Half pub. This Hove pub is a relaxed and informal affair that focuses on providing a fantastic choice of drinks and food. The menu features a gastropub style offering with plenty of variety and classic hearty dishes. Utilising only the best seasonal and local ingredients, The Better Half, is a chilled out spot for any time of day thanks to their heated rear garden. This popular central Hove pub offers a casual bistro style menu in a clean and modern venue. 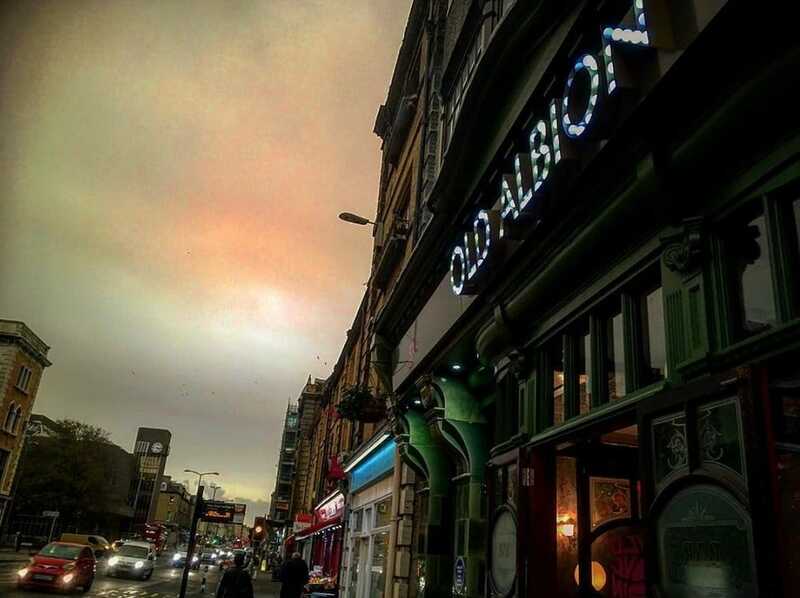 Operated by the Golden Lion group, you can expect high standards of service and a progressive menu with a variety of options to suit your dining requirements. With a large outdoor space, one of Hove’s best kept secrets, it is a great spot for a relaxing afternoon with something sparkling. The food ranges from classic bistro offerings through to a modern evening offering for the more adventurous. From the outside this local boozer looks like your usual high quality Hove pub. Step inside and you will find a venue that superbly matches craft beers and shellfish in a very unique and special way. 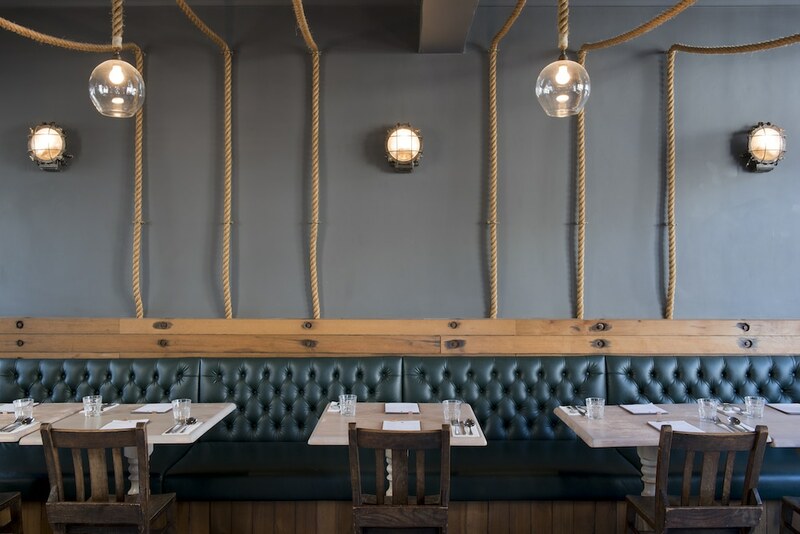 With over 100 craft beers to choose from and a menu that features almost exclusively shellfish, The Urchin may have put all their eggs in two baskets but they have made sure they are the best baskets available. The pub is modern and stylish inside and a lovely place to be. This friendly local food pub has been putting out some of the best food in Hove since 2006. Beloved by locals and visitors alike you could be forgiven for missing this one as it is a little off the beaten track down a residential side street. 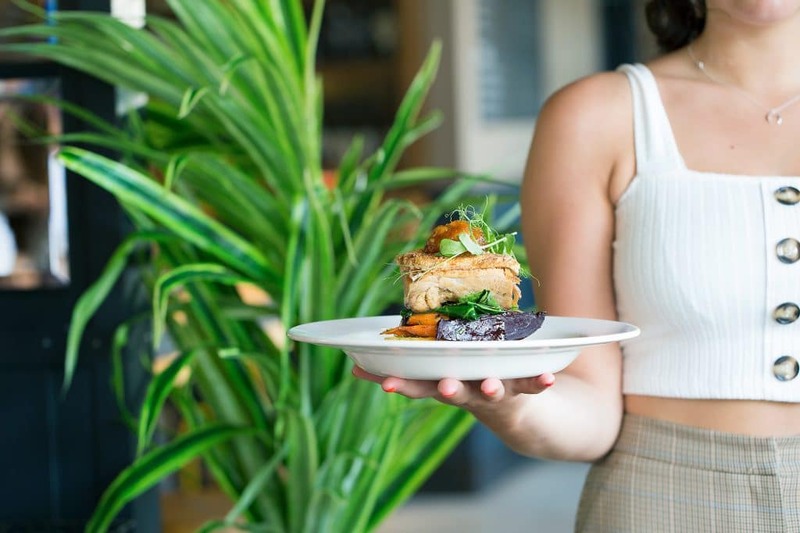 Passionate about local, sustainable produce you can enjoy a meal and a drink in the knowledge that you are doing so without negatively impacting the environment. 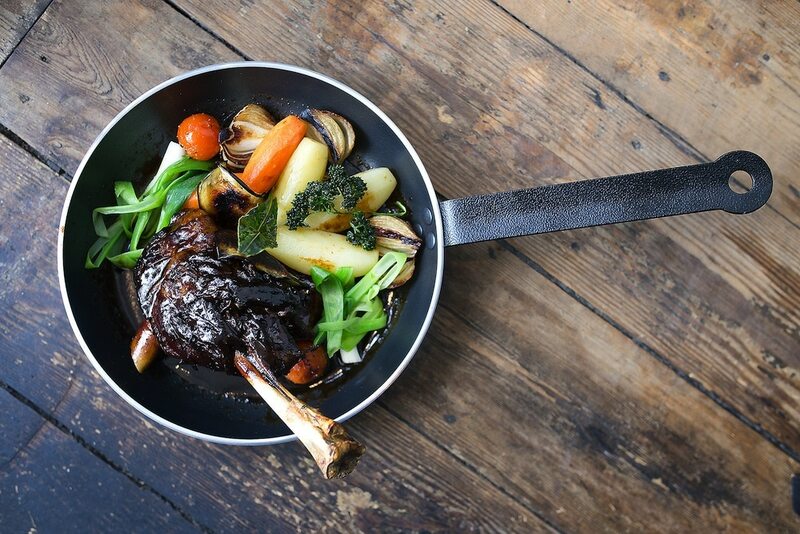 Forged herbs feature in many of the dishes and their Sunday roasts are always popular. Hove based pub, has re-opened its doors under new management this year, with a fresh yet nostalgic look. 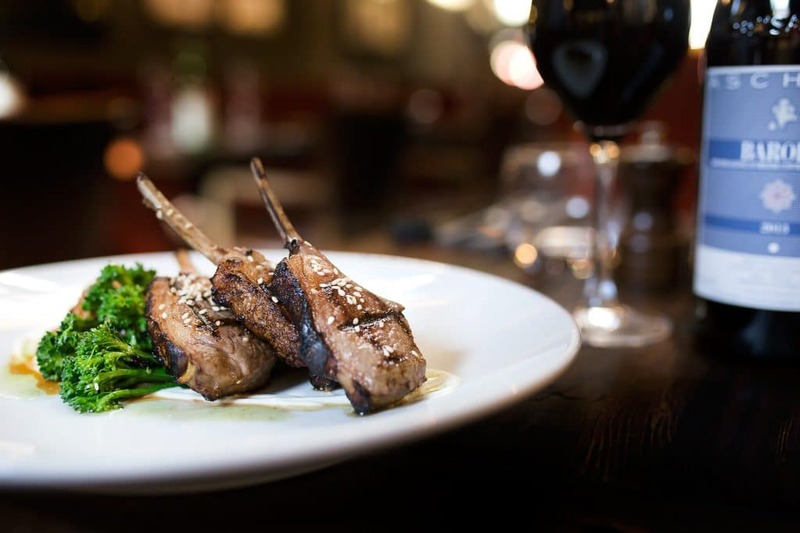 Serving great food such as pub classics and Sunday roasts, delicious drinks with a fantastic range of gin, all accompanied with friendly staff and good music. 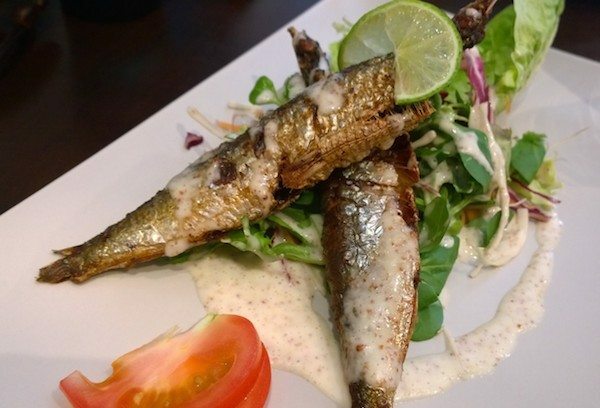 The menu has a real mix on it to suit everyone, from your traditional pub food to a selection of Sharing Plates which include a Fish, Vegan or Meat option. One style of dining that sums up Hove perfectly is the informal dining scene. These are venues where quality and style are the foremost concerns, but where the overall feel is relaxed and social. You’re welcome to pop by whenever the mood takes you knowing full well that both the food and wine will be sensational. With the buzz of the market running through it, Market Bar and Restaurant is a relaxed venue serving Anglo-Spanish tapas. Pop in for a quick cocktail and dine with the chefs at the kitchen countertop bar or take a table and enjoy a selection of small plates with some excellent European wines and linger over conversation. With weekday deals available such as BYO Monday and of course Tapas Tuesday you really don’t need an excuse to eat out in casual style whenever the fancy takes you. There are some venues that you just know are going to be great as soon as you step into them, and Fourth and Church is firmly in that camp. 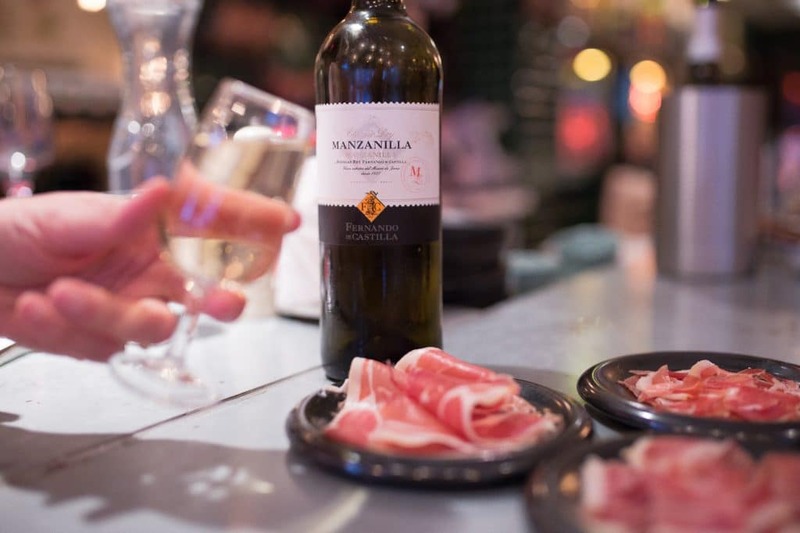 With a wall of superb wines, beers and spirits and a deli counter packed with delicious hams, cheeses and preserves this is a foodies idea of heaven. The perfect spot for quick lunch or take away salad or sandwich, their evening menu of small plates and sharing platters is exceptional. Keep an eye out for regular tasting events or pop in for a bottle to take home. 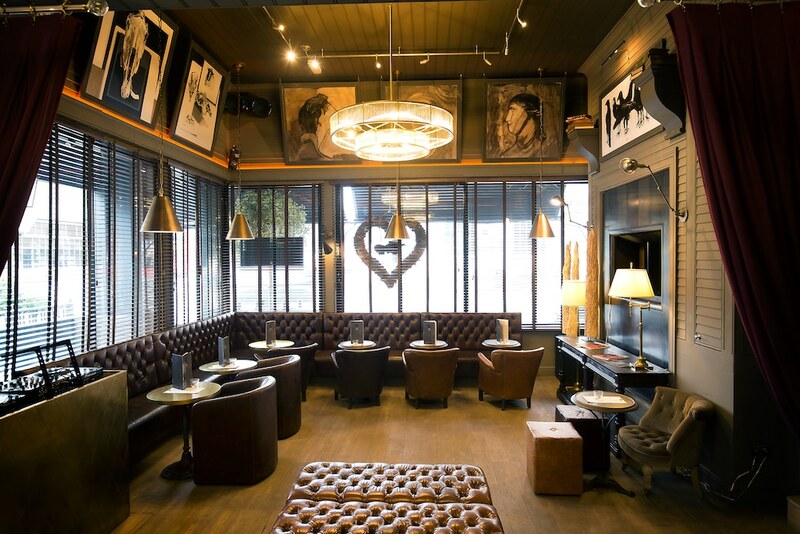 The sister venue to its neighbour Latino America, Café Malbec offers a taste of South America throughout the day. 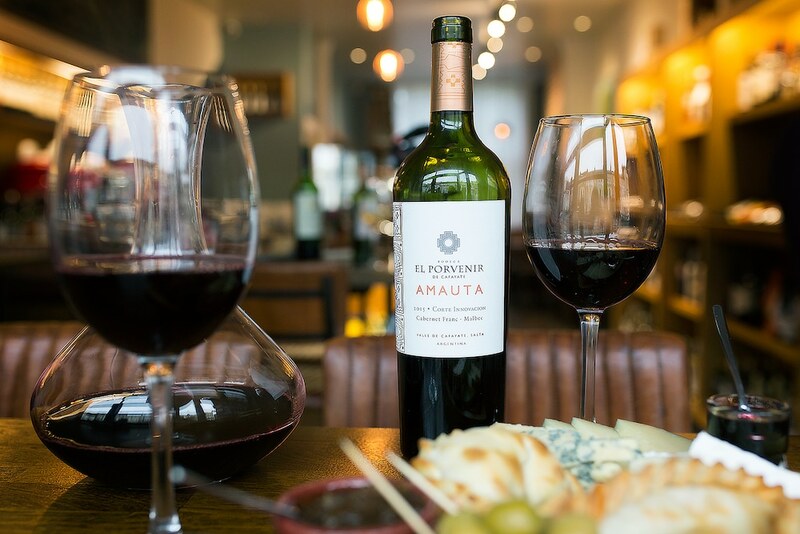 This wine bar and deli offers customers a range of exclusive wines from the region with a focus on Argentine Malbec. 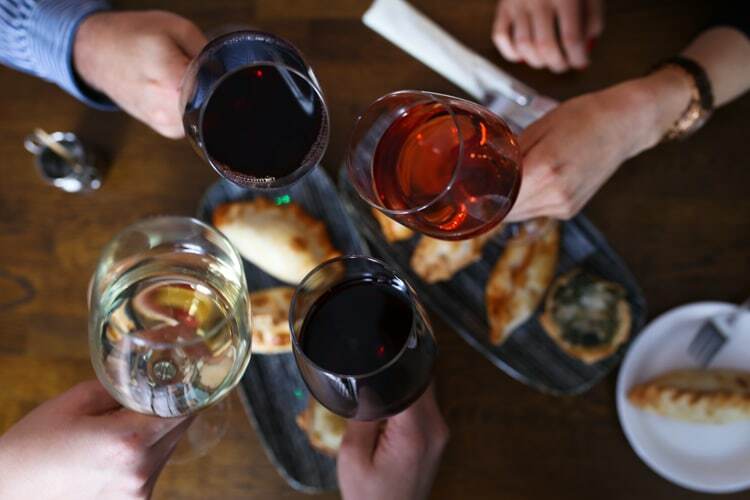 With authentic empanadas and south American cuisine on offer, this is an ideal spot for a light bite and glass of wine with friends. 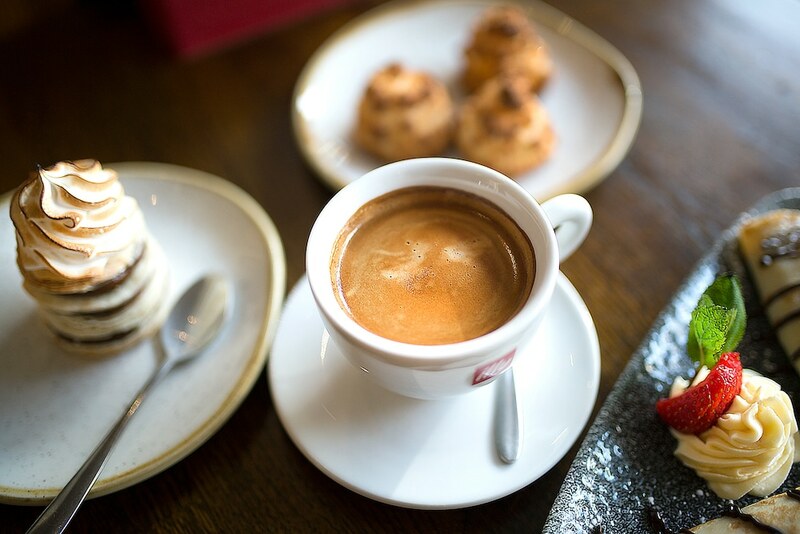 During the day, you can stop by for a smooth Italian Illy coffee and one of their home made Argentine pastries and cakes whilst picking up a bottle of wine for later. 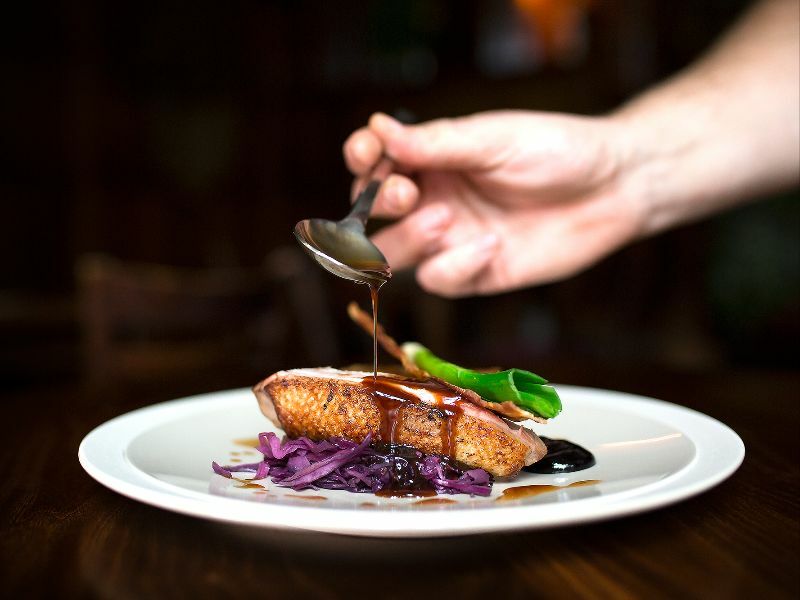 Le Nantais Bistro is a modern French Bistro offering excellent quality French cuisine with a little bit of English (with a French gastro twist) thrown in too. The bistro is the epitome of casual dining and weekday offers make Le Nantais a tempting place to eat out on quality food without the need for a special occasion. Serving from breakfast through to dinner daily with a much talked about roast on Sunday, this laid back restaurant bringing a little of the Loire to the shores of Sussex. 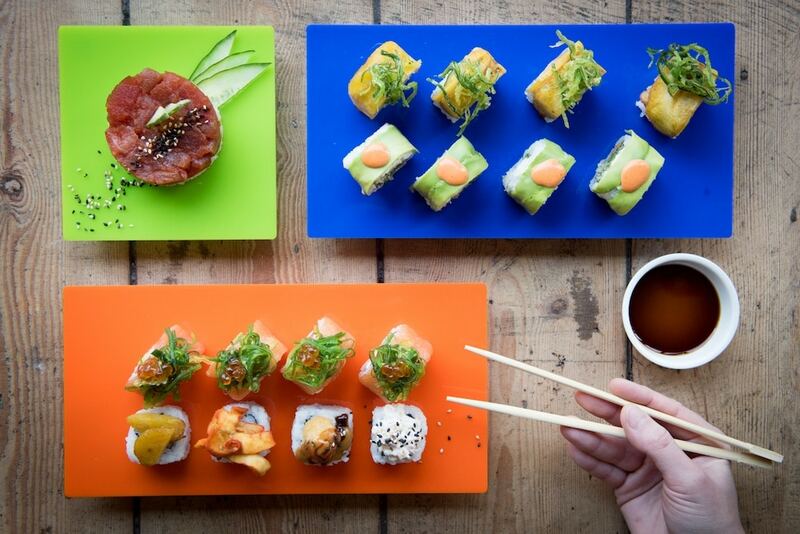 Tropical Sushi brings Hove the unexpectedly delicious fusion of Latin American ingredients with the ever popular Japanese delicacy. Their fish is locally and responsibly sourced and everything is prepared to order so freshness is guaranteed. The restaurant is open for lunch and dinner where the cool Japanese minimalism is mixed with a Tropical colour burst and warm welcome. There’s plenty of traditional options for those who love a classic as well as vegetarian, vegan and gluten free options. Arguably the owner of the most drool-worthy window display in the whole city, La Cave a Fromage, is much more than an exceptional cheese shop. 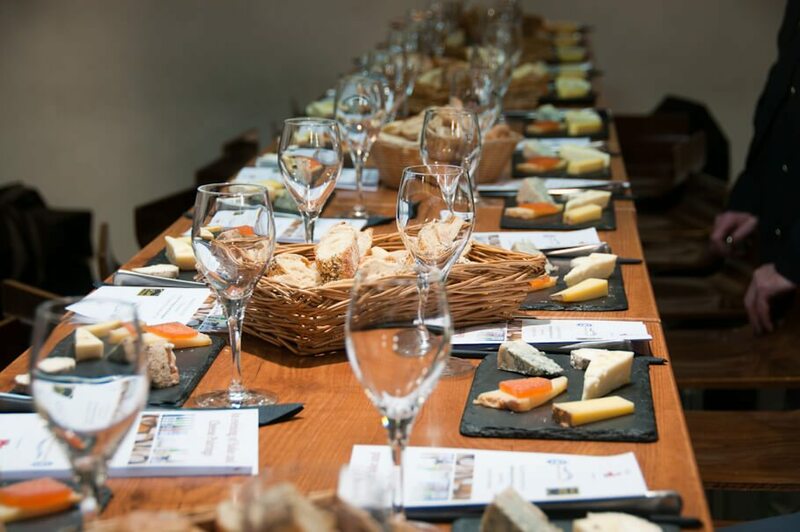 Head inside and let them take you on a journey through the medium of cheese, wine and charcuterie. With such a wonderful range of interesting and unusual cheeses this is a dangerous place to go for those of an inquisitive mind. Eat in or pick up something to take home, just be sure to go there and take in all that cheese in its glory. Some venues are hard to categorise and so we have decided to put Six here. This large venue is a bar, juice bar, restaurant and venue all at once. With multiple options to suit your mood they can cater for breakfast, brunch, lunch and dinner or just as a place to sit and watch the world go by (or let the world watch you as it goes by). 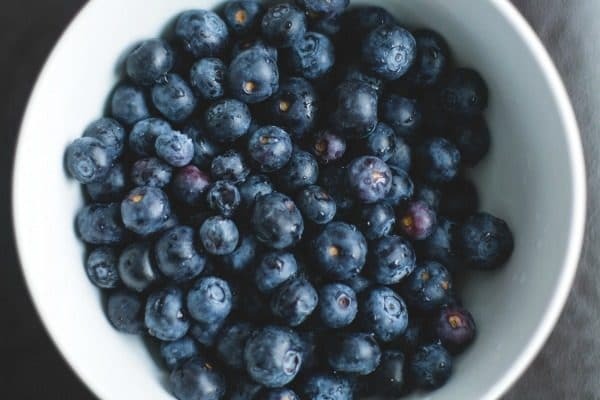 Locally sourced and organic ingredients are the order of the day focusing on 100% certified organic suppliers for their food, drink and juice offerings, it is all very Hove. Hove is not short of formal restaurants to complement its more relaxed offerings. 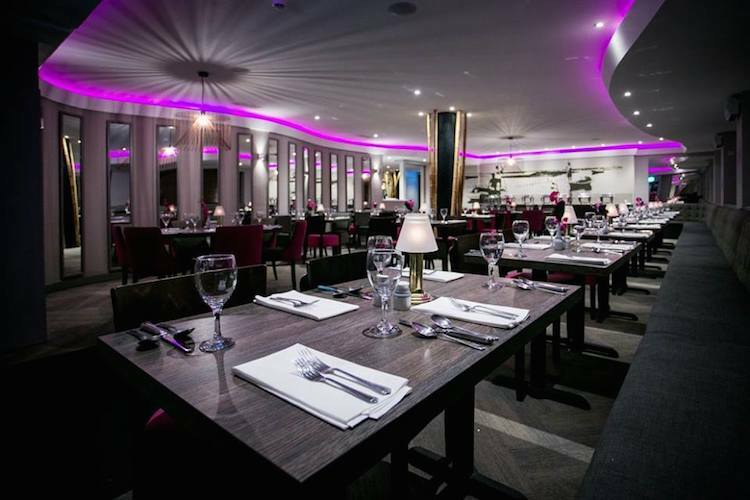 If you are looking for somewhere for a special occasion, romantic night out or just a treat then look no further than these options. If the name of this venue, one of the newer pubs in Hove, strikes you as slightly Manhattanesque it’s probably not an accident. Everything about Third Avenue is set to reflect a level of authority and sophistication you would expect from a New York member’s club. The dark, moody lounge bar serves a sophisticated list of new and old world wines, a fun selection of cocktails and a good worldwide range of beers. 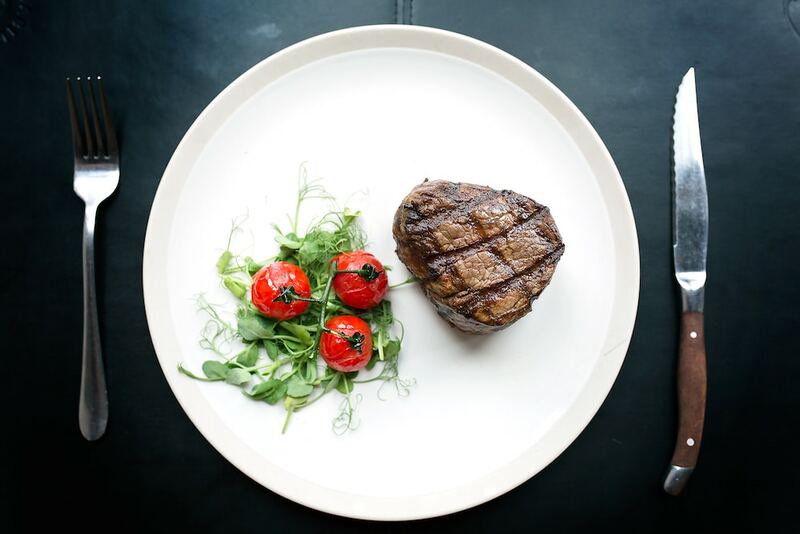 Two restaurant concepts offer up stylish modern sushi and premium steak from a charcoal Mibrassa grill, and late night DJ dish out tunes at the weekend, making Hove the city that never sleeps. 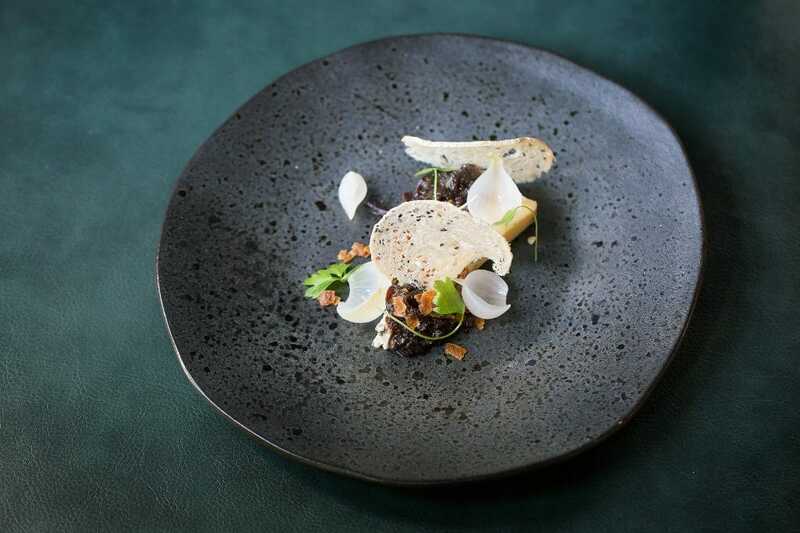 Brighton and Hove’s only 3 AA rosette restaurant proves that you do not have to make a lot of noise to get noticed. 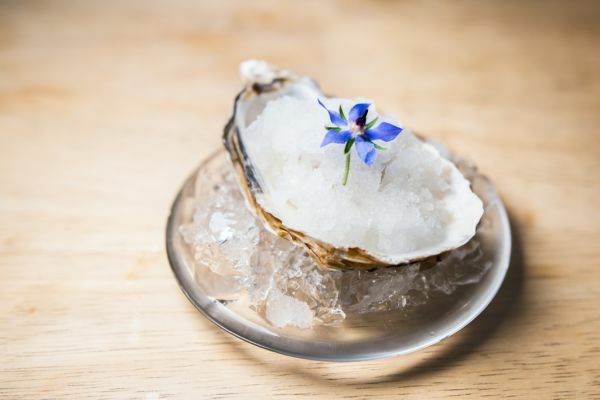 This understated, yet exceptional, restaurant is proof that simple superb cooking, combined with exceptional service, are what make a top-class restaurant. Head chef Duncan Ray singlehandedly manages the kitchen and front of house is effortlessly handled by Rob. This team of two have created a fabulous restaurant that is focused around a single fine dining set menu with optional wine pairing. 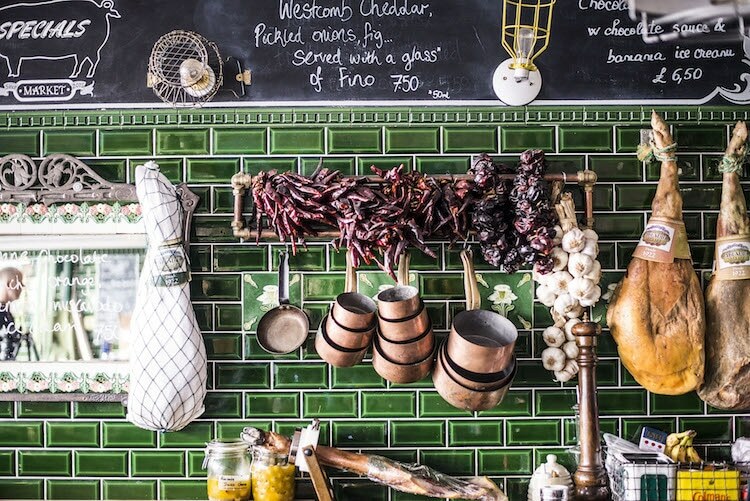 The first Argentine restaurant in Sussex, Latino America, offers diners a taste of South America in Hove. Argentina has a reputation for producing the best steak in the world, and Latino America has a strong selection to choose from. 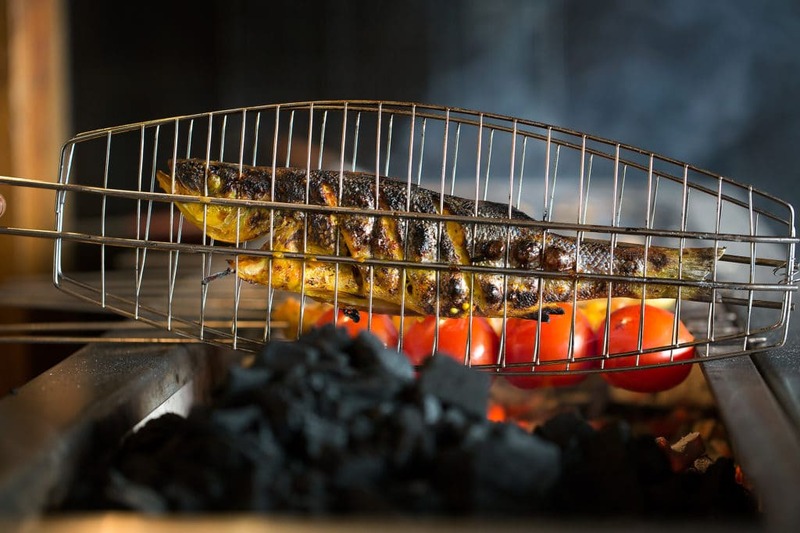 If steak is not your thing the menu has a variety of dishes inspired by owner’s homeland. 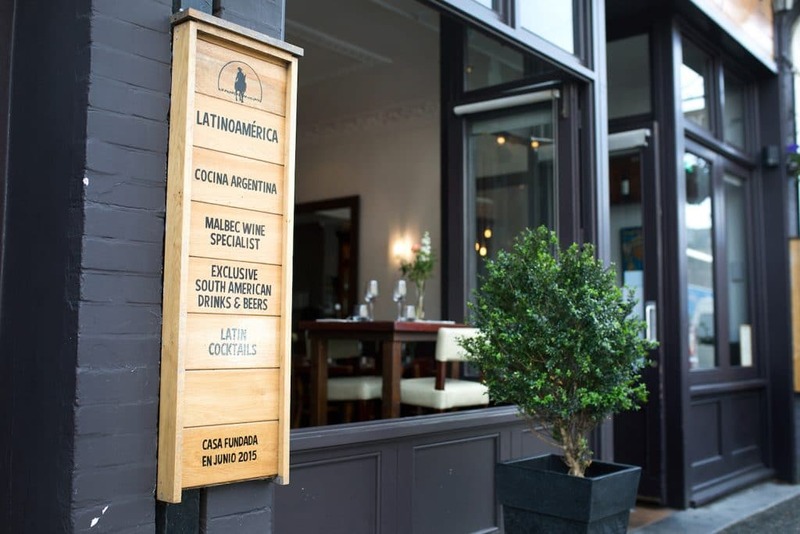 This mix of indigenous and Mediterranean cuisine, and a superb wine list, makes Latino America one of Hove’s top dining venues. 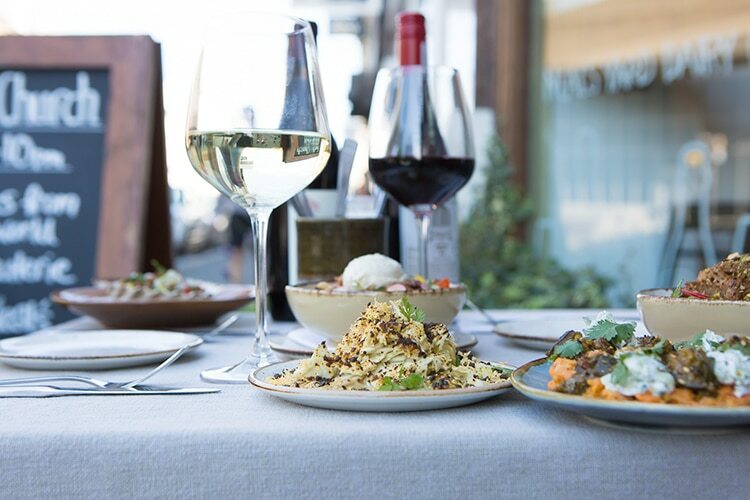 Taking its name from the historic Persian city famed for its music, poetry, gardens and wine Shiraz brings together traditional Iranian cuisine with modern stylish dining. As well as the chargrill, there are many slow cooked stews and rice dishes on offer, vegetarians and vegans are well catered for. Bookend a meal with a delicious selection of home made flatbreads and dips such as baba ganoush and humus and round off with some nutty-sweet baklava. Etch. is the first permanent restaurant for former Masterchef: The Professionals winner Stephen Edwards. This promises to be one of the must try dining experiences in the city, and one that has been creating quite a buzz for some time. Coming at a time when the city is being noticed as a serious dining destination, Etch. comes at a perfect time. Focusing on produce from in and around Sussex, this is modern fine dining in an interactive element. Without doubt a pearl in the Hove restaurant dining scene. 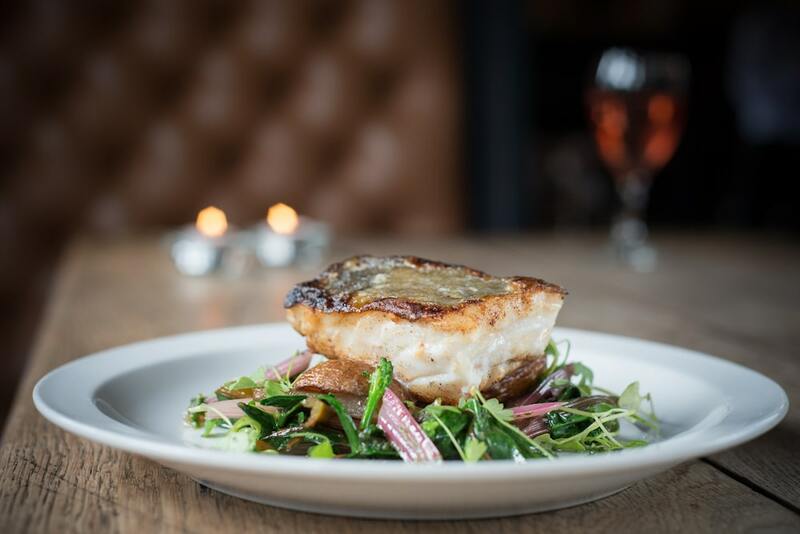 Few have done as much for Brighton and Hove’s dining scene that the Gingerman Group, and the Ginger Pig is a consistent presence in the city’s top restaurants and Hove restaurants. 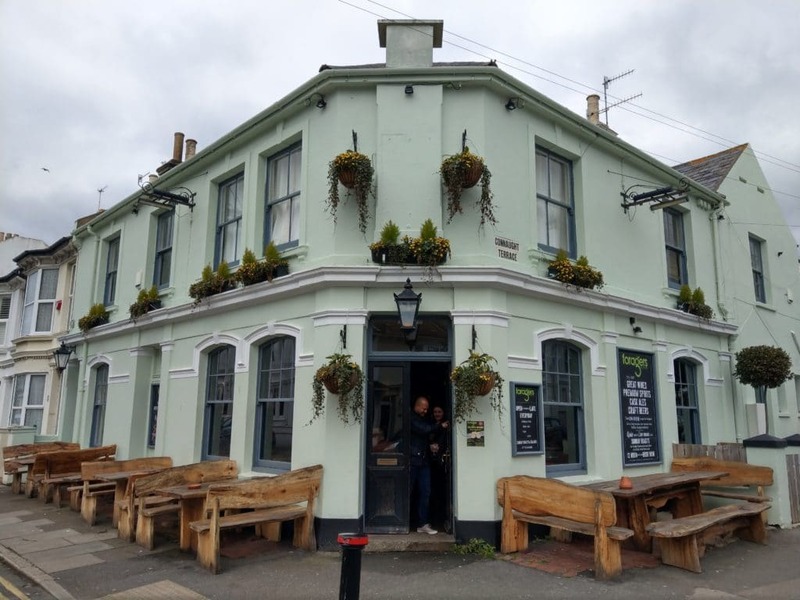 Part pub, mostly restaurant and always excellent, this mainstay of the Hove dining scene appears to be going from strength to strength. Classic European dishes with a modern twist are the order of the day, backed up with a superb wine list and excellent cocktails. They are due to be adding accommodation to the venue in 2017 which will be the start of a new chapter for the Pig. Pizza is one of the country’s favourite foods, and Hove restaurant Morelli Zorelli are doing a great job in maintaining this. Using a 150-year-old Sicilian sourdough recipe, the dough is left for three days to leaven before being cooked for 90 seconds in the woodfired oven. This locks in the moisture resulting in an authentic taste of Naples, with a little bit of local flair. You can eat in and enjoy the theatre of the pizzaiolos preparing your meal, or order take away and have it delivered to enjoy at home. Hove is a lot more than modern European cuisine and trendy wine bars, with a healthy offering of Asian, Indian and Thai restaurants occupying the area. If you are after something a little more exotic then check out one of these fantastic venues. The only Sri Lankan restaurant on the south coast, Moonstone, serves authentic food in a relaxed and welcoming environment. 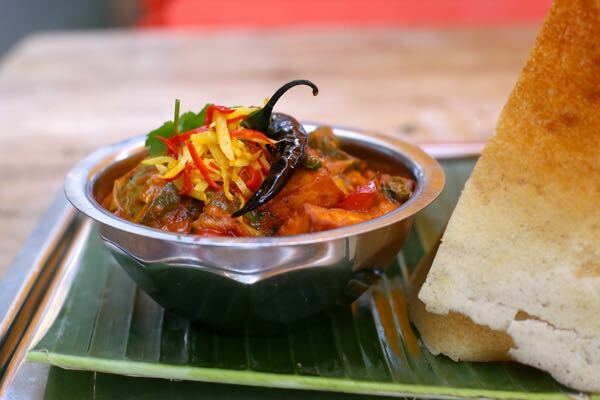 Featuring a variety of traditional Sri Lankan dishes, the food is comforting, fresh and delicious. Made using spices that have been sent by the owners family back home, there are a selection of meat, fish and vegetarian dishes all with their own distinctive style. To top it off Sri Lankan cuisine uses less fat than other cuisines of a similar style making it a viable healthy option. 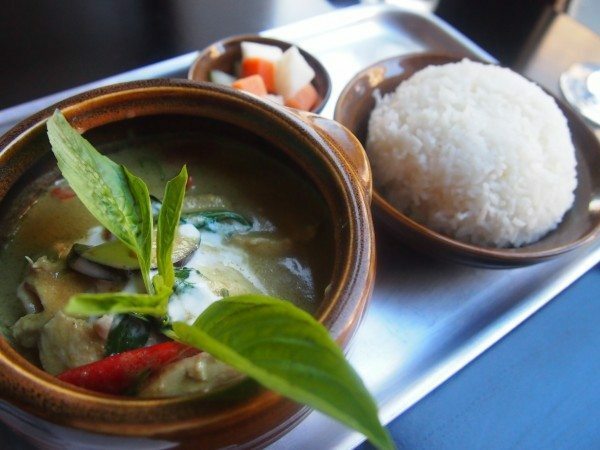 If it is Thai food you are after then look no further than Café Chilli on Church Road. 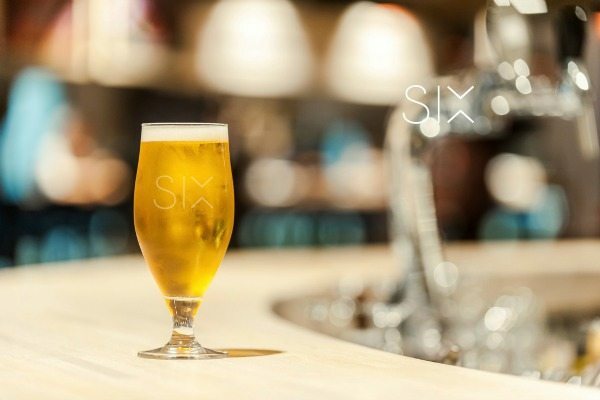 This is the second incarnation of a restaurant that has been serving the people of Hove for over five years. Owners Seb and Suchani decided to give the restaurant a new identity in 2016 whilst giving the menu a revamp. It now features a mix of authentic Thai dishes alongside fusion dishes that are popular back in Thailand. The stylish and welcoming interior, and friendly staff, ensure that every visit to Café Chilli is one to remember. 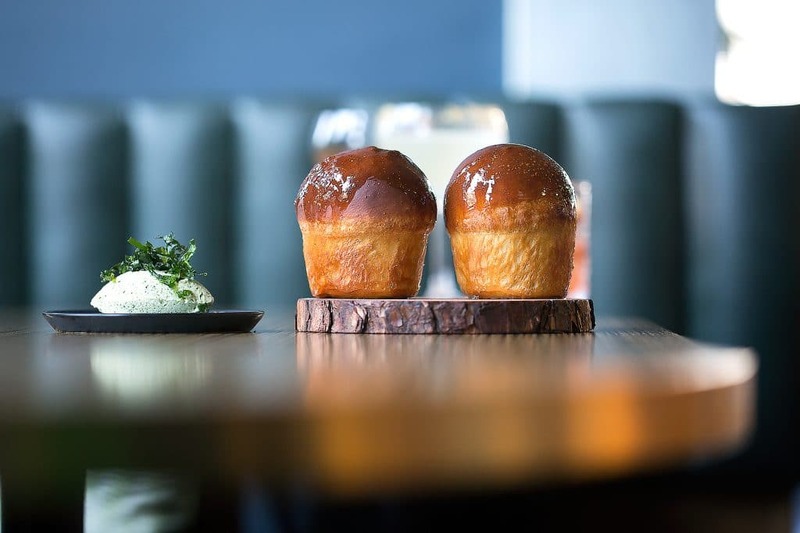 A new player in the Hove restaurant scene, Holy Phok, has been creating quite a stir, and not just because of its name. This family run restaurant serves Vietnamese street food in a bright and colourful setting. Keeping the Vietnamese tradition of farm to table alive, they use Sussex free-range meats in their dishes. They also grow their own authentic herbs at a local social enterprise, ensuring that they are as fresh and vibrant as possible. 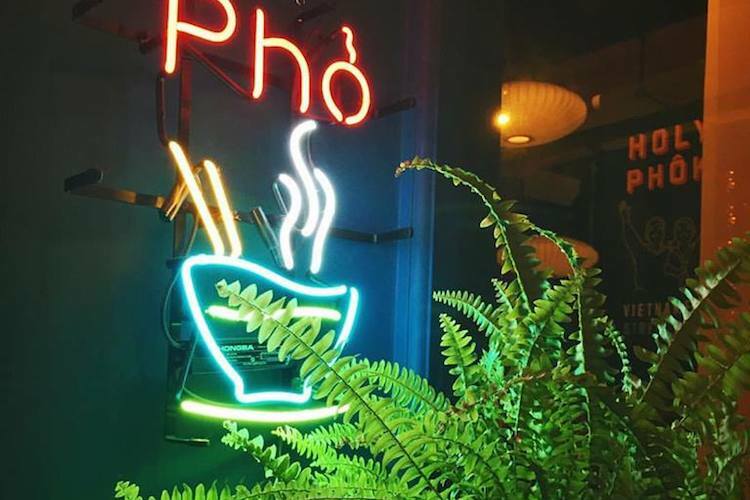 Try their signature Saigon-style chicken pho for a true taste of Vietnam. Not many restaurants can claim that their food is literally fit for a prince, but Bali brasserie can having been picked to cater for a visit by H.R.H. The Prince of Wales. With 20 years in the Brighton restaurant scene, this Malaysia and Indonesian restaurant is an institution in the city. With a “tropical bar” for pre-dinner drinks and a welcome just like home, the Bali Brasserie has a popular following in the area. Fusing the influences and spices from India, China and Malay the food is a cacophony of a flavour and character.